If someone you meet at a networking event searches your name on Google, what are they likely to discover? Because your LinkedIn profile will typically show up in the first three to five results, you have the opportunity to control what they find about you. 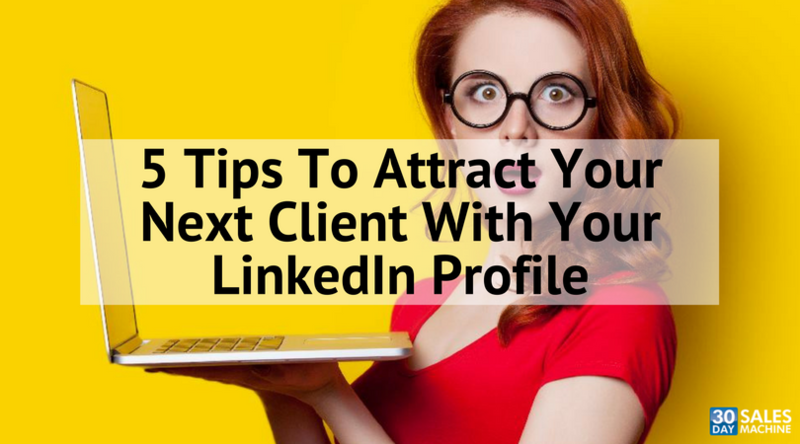 If that person is a potential client, you need an eye-catching profile to draw their attention. Here are five tips to creating a LinkedIn profile that will make prospects want to stop on your page and reach out to you. LinkedIn’s design has changed in the past couple of years, giving you the ability to add a background photo to your profile. At the very least, you should include some type of branding that represents your identity or your company. But what’s more useful is to address a pain point your target audience has. This opens the door for you to address how you can solve that pain point in other areas of your profile. Make sure people can see your face. The best option: a photo cropped from the elbows up. It’s amazing how much more approachable you become when you lead with a smile! By default, your headline pulls content from the Experience section of your LinkedIn profile, so it will display your most recent job title and the company you work for. The problem with this is that no one really cares about you—yet. If you leave it like this, you’re missing an opportunity to articulate the solution you can provide to your ideal client. Edit this line so those landing on your profile will see you as the answer to their business problems. This section is doubly important because it’s the only line that shows up under your name in the Who’s Viewed Your Profile list. You want prospects scanning that list to immediately see the problems you can solve. This section gives you the opportunity to explain to your visitor who you help, how you help them, why they should trust you and how they can find out more information. So take advantage of all 2,000 characters available, and don’t forget to include your contact information! Make it easy for someone to get hold of you. Although your profile should clearly articulate what you do and why you’re good at it, a more effective way to build trust and credibility with your prospects is to have someone else tell the world what you do and why you’re good at it! I’m referring to getting recommendations from past clients, colleagues and business associates. The best way to get recommendations is to give recommendations. When you surprise a current client with a flattering recommendation—unannounced—they’ll be compelled to reciprocate. 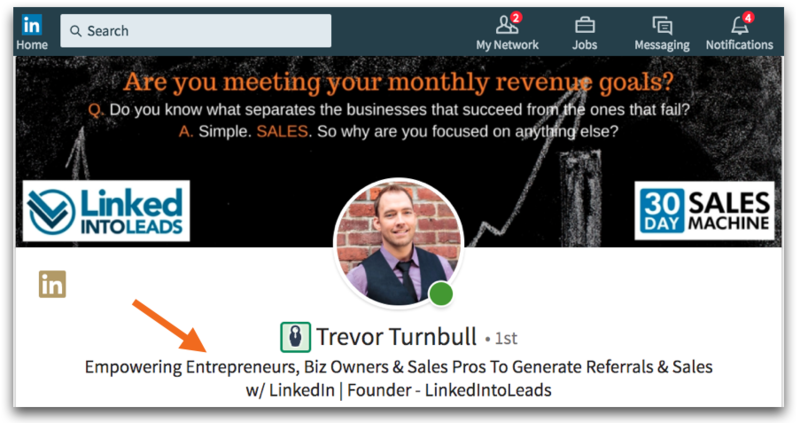 If you want more helpful tips on how you can leverage LinkedIn to grow a qualified sales pipeline, check out our 7 Step LinkedIn Funnel Checklist . This article appeared on BCBusiness and is the third in a series of seven articles about how sales and marketing professionals can leverage LinkedIn to turn cold leads into warm prospects and more clients for their business.